I write about New York - and everywhere else. This is a selection of what I call my "little bus stories." I write on the New York City Mass Transit Authority - also known as the MTA, also known as the bus and the subway. My first collection of stories is available at the NY Transit Museum Store, and online at Amazon, Barnes & Noble, and Create Space: "A Marshmallow on the Bus: A Collection of Stories Written on the MTA." My next collection will include many of these Wattpad stories, some new poetry, and, of course, my observation of daily life in the world's most exciting city - New York, New York. 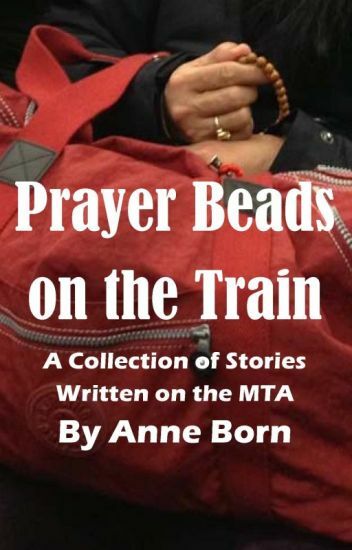 It's called "Prayer Beads on the Train: A Collection of Stories Written on the MTA," and it will be out this fall (2014). Thanks for reading my little bus stories! Look for updates and follow me - @nilesite. It's Not a Mystery. It's a Library! Plain Food Talk: Garlic Has "Jus?" The Persistence of Gothic: Happy Birthday, Notre Dame! Looking for great liskook fics but you can't find one? here it is. she's pretty for a "darkskin"
Para 'to sa mga taong, siguro minsang PINAGPILIAN pero ayaw nang maging sila. 8- year- old Zaid had a perfect life until he deicded to go to a summer camp. Little did he know that from that day onwards, his life was never going to be the same. As the story unfolds, Zaid learns the dark truth about his parents which brings his entire world crashing down. It takes him decades to finally unveil the secrets that circled around him eversince he went to that one summer camp. One world, split into into two. Two fates, destined to intertwine. A bond, shattering apart. While the pain of a secret aches their hearts to a point where man has never been. How far will they go to keep a single secret.. When the two pathways cross, will they be able to bear the pain... of losing each other all once more? Updates every Sunday and if I'm feeling good, I'll update twice! This book contains short stories of good morals to be followed in our every day lives. It's too late now. We just have to move on. So I will no longer be sleep deprived. It was not to be spoken of. Mentioning it would bring despair. I thought it was just a blur. No, that can't be the one. Because I am so done. Now I'm starting on a blank canvas, sketching on my journey as I move forward to the future, leaving my past behind. Keeping in mind that things happened for a reason and that I should be grateful no matter what. I decided to quit all my stories: ... They had no meaning to me. And dedicate my life to my poem; Pineapple. It is just so inspirational to ignore. I will be having more stories in the future about pineapples.